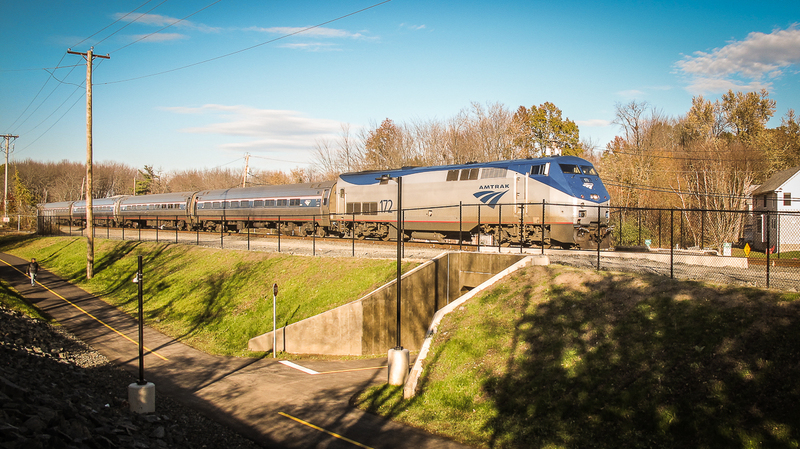 This page a listing of recently completed rail-related infrastructure projects in the Pioneer Valley region. Please note that this listing does not list all of the project. The bike/pedestrian underpass in Northampton, which opened to public in November 2017, provides a direct connection between the Mass Central Rail Trail (on the east side of the railroad tracks) with the Northampton Bike Trail which is on the west side of the tracks. The underpass also provides residents on the east side of the tracks with a safe walking path to the many retail establishments located on King Street in Northampton. In September, 2018 MassDOT and its contractors executed a complicated project to re-deck the 208-foot viaduct that crosses the Fall River in Bernardston, Mass. The viaduct, which is commonly known as the Stone Arch Bridge, was built in 1846 for the Connecticut River Railroad. The majority of the work was performed during a scheduled five-day service outage that commenced on September 7, 2018. The Pioneer Valley Railroad and its contractors have rehabilitated a curved open deck bridge in Holyoke near South Canal and Cabot street. 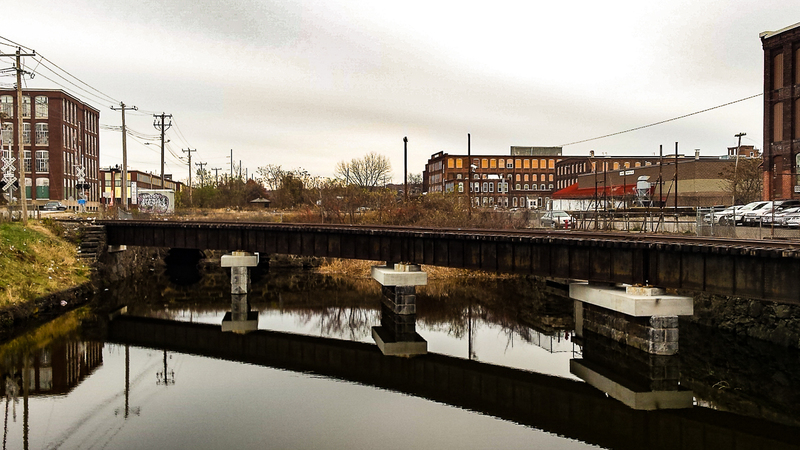 The bridge, which is shown in the images above, carries a section of the PVRR over a canal in Holyoke. Steel and masonry work performed on the structure. The re-opening of this bridge, which was last used in 2013, will allow the Pioneer Valley Railroad to interchange freight rail cars with the Pan Am Southern railroad which operates the north-south rail line through Holyoke. This work was partially funded by a grant of $495,000 that was made by the Massachusetts Department of Transportation (MassDOT). 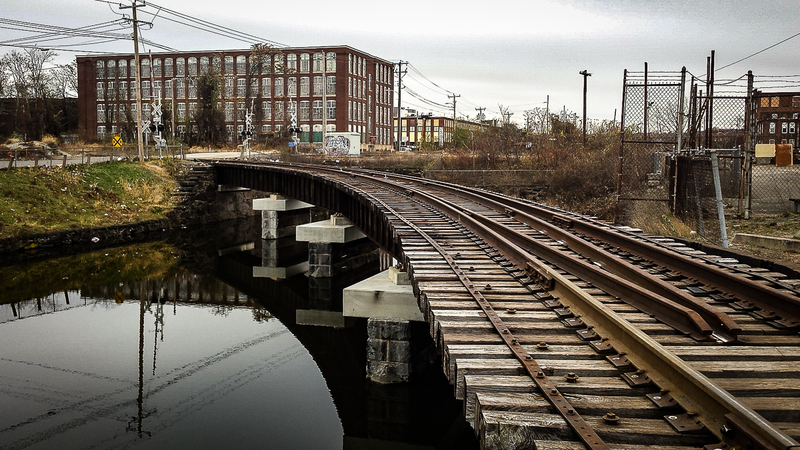 The grant was one of eight grant awards made in 2017 under MassDOT’s Industrial Rail Access Program. 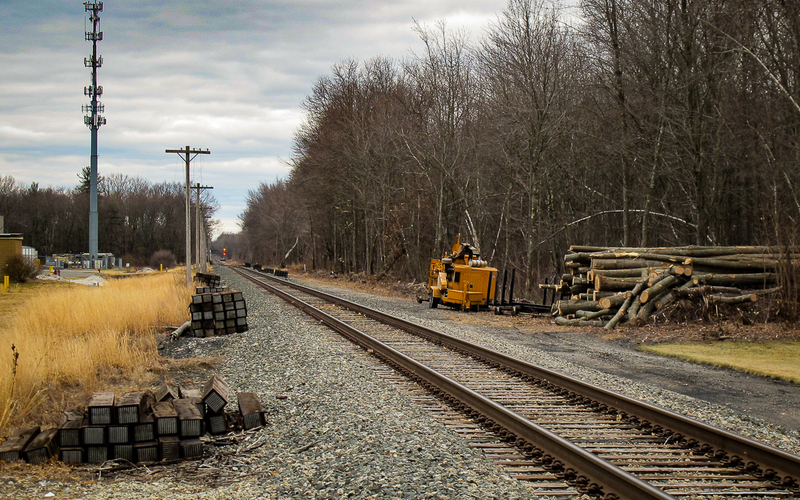 MassDOT’s contractors are working to clear brush and trees along the right of way on the Connecticut River Main Line.